Reunited Series Box Set (Books 1-3) - Kindle edition by Sharon C. Cooper. Literature & Fiction Kindle eBooks @ Amazon.com. 5.0 out of 5 starsGreat suspense! I thoroughly enjoyed the "3" sequel books by the author.The characters were well developed and the level of suspense was kept at a high level. You were forced to keep reading to find out what developed in each of the stories. Definitely worth reading. Ms. Sharon C. Cooper... I am now officially a lifetime fan! This 3 Book boxed set was superb! I enjoyed every page. I was so in tuned with the characters it was if I was living out the scenes. Job well done! I'm on to the 4th book of the Reunited Series. I know I will not be disappointed! Definitely must read books... Happy reading!!! 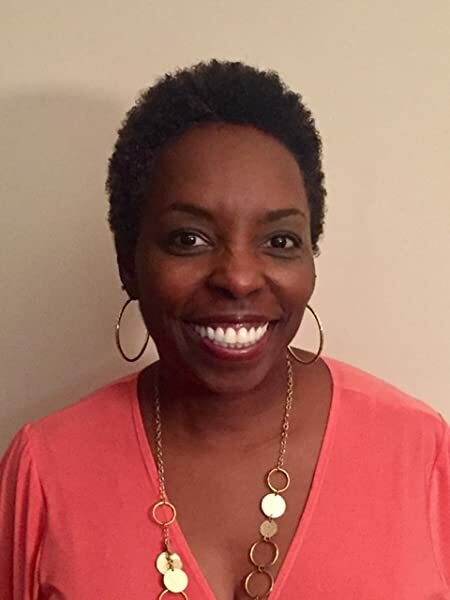 Ms. Cooper creates heroes and heroines that make you root for them. I love her other books, especially the Jenkins family series. I didn't expect to get hooked on her suspense series. Now, I am! The only criticism us all the typos and improper word usages, which are not typical of her books. Hopefully, it won't continue. 2.0 out of 5 starsWhere do I start. The first story was just ok. The woman cried the entire story. So parts didn't make sense. So much for being independent. The second book. Omg, the CIA undercover agent's were a joke. Boring story. What CIA agent leave their gun in their room and hide. REALLY. Lol. The third book with the doctor and her migraine was so unbelievable it was funny. I didn't finish that story. I had enough. I couldn't take any more nonsense. All three flowed. I really enjoyed the story lines in each of them so much that I didn't what them to end. Good girl, bad boy stories that turn out positive is my life. I know they were fiction but in real life one should never judge the book by it's cover. People make drastic changes when the right person comes along. 41 years and I'm still married to the bad boy who'd never marry. I like romantic thrillers with happy endings. I love the strengths of each character from beginning to the end. As a female I love the protection of the males. I love the way they protect their women. I love the strong and accomplished women that are portrayed. Great Read! 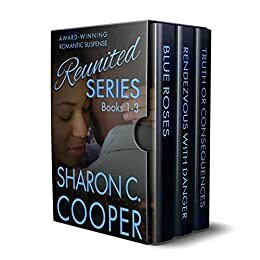 I just Love Sharon Cooper's books , you just can't wait for the next chapter ,your on the edge of your seat, you want to read ahead to see what happens. So glad that Stan didn't die I was afraid for him . This was definitely a good book all three stories. I never thought I would read suspense books. I downloaded because I love this writers work. The characters are so real and the story lines had my heart palpitating. All three books were great and if you are a person who like suspense added with a spice of romance this is a good read.